There are three concert bands at Franklin High, and students participate in concert band class for the entire school year. Students study instrumental fundamentals, ensemble skills, interpretation, music listening, all while preparing high-quality, ability-appropriate literature. Students are encouraged to study privately. They are also strongly encouraged to pursue many individual opportunities, including Mid-State and All-State bands, among others. Freshman Band (9th Grade): This ensemble focuses on transitioning students from middle school into high school Symphonic Band or Wind Ensemble. Students in Freshman Band audition for and are selected to MTSBOA All Mid-State Bands. Freshman Band performs music of a Grade III or IV level. Symphonic Band (10th, 11th, and 12th Grades): Three classes at Franklin make up the Symphonic Band: Brass Class, Percussion Class, and Woodwind Class. This ensemble focuses on transitioning students from Freshman Band to Wind Ensemble or university band. Students in Symphonic Band audition for and are selected to MTSBOA All Mid-State Bands. Symphonic Band performs music of a Grade IV or V level. Wind Ensemble (10th, 11th, and 12 Grades): The Franklin Wind Ensemble is comprised of the most advanced wind and percussion students at Franklin High. 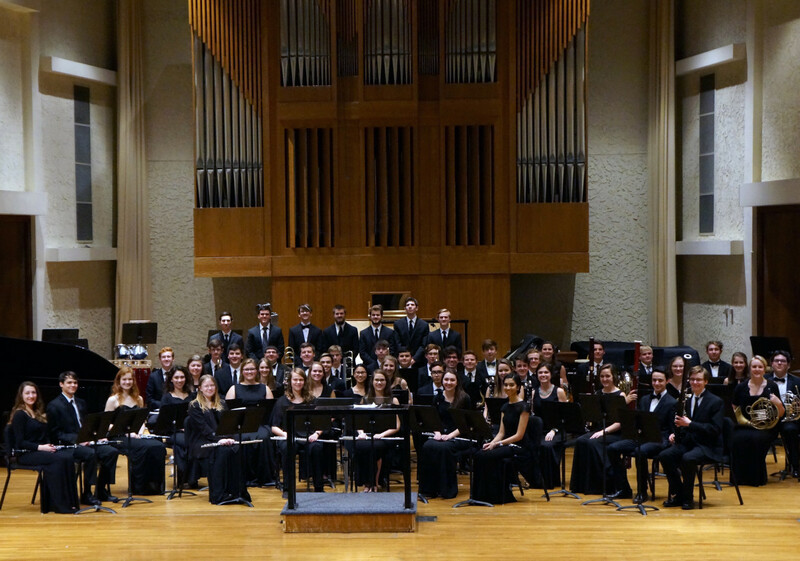 The Wind Ensemble has performed at the Tennessee Music Education Association State Concert Festival, the TMEA Conference (2012 and 2017), and the Music for All National Festival (2013). Students in Wind Ensemble audition for and are selected to MTSBOA All Mid-State Bands, Tennessee All-State Bands, and MFA National Honor Ensembles. Wind Ensemble admission is by audition only and performs music of a Grade V or VI level.